A mum of a young boy killed by the RUC from a plastic bullet has appealed to the Government to release its files on his death after learning they will not be publicly released for another four decades. And questions have been asked of what the Government has to hide in keeping the files classified for so long. Helen Whitters said she was shocked to learn of the decision to keep the files sealed. “I find this deeply shocking," she said in a letter to the Secretary of State. "Why should a file on the death of my 15-year-old child, which happened almost 40 years ago, remain classified for another 40 years? A Government spokesperson said that Karen Bradley "recognises the terrible loss suffered by those who lost loved ones as a result of the Troubles and expresses her sincere condolences to the Whitters family during this extremely difficult time". The spokesperson said that the Secretary of State "cannot comment publicly on specific cases but will respond privately to Mrs Whitters' letter". Files are usually classified and kept from the public because they relate to issues such as sensitive personal information, health and safety, relations with other countries or national security. Monday marks the 38th anniversary of the death of 15-year-old Paul Whitters. The second oldest in a family of three sons, he was born in Scotland and raised in Clydebank and Glasgow. At the age of 11 his parents returned to their original home of Londonderry. During April 1981 tensions in the city were running high, with many taking to the streets to support republican hunger strikers in the Maze. The Catholic teen was at the front of a group of youths who had been throwing stones when he was hit on the head by a baton round and died in hospital 10 days later. The Police Ombudsman found in a 2007 report the firing of the baton gun was "wrong and unjustified". It said the gun was used in contravention of the rules in place at the time. No warning was given by loudhailer and it was fired at less than the permissible range of 20 metres. His death was the subject of an inquest and was referred to the Director of Public Prosecutions, who directed no prosecution. In 1987 the RUC settled a subsequent civil action without any admission of liability. The Guardian reports his mother Helen has written to the Northern Ireland Secretary of State Karen Bradley appealing for her to open the files on the death. It comes after she learned a review in 2018 put back the scheduled release of the files at the National Archive in London to 2059. "I find this deeply shocking," said his mother Helen in her letter. "Why should a file on the death of my 15-year-old child, which happened almost 40 years ago, remain classified for another 40 years? What has the British government, the NIO [Northern Ireland Office], the RUC got to hide? What secrets must be protected about events that April evening in Great James St?" SDLP Leader Colum Eastwood also called for the files to be released saying their continued closure "effectively sentences his family to a life without the truth about what happened that day". "That is unacceptable," he said. Paul and other teenagers had been throwing stones at the RUC in the Bogside. Eyewitnesses said the teen was wearing a green mask. A 2007 Police Ombudsman was critical of police actions although found there was no evidence of an intent to kill the teenager. Ombudsman's investigators identified evidence to suggest the baton gun may have misfired and the baton round may have malfunctioned, but have ruled that it was an unjustified shooting. They backed a complaint from the Whitters family that the police had made no attempt to arrest Paul before the shot was fired and that they did not conduct a proper investigation into his death. There was also no attempt made by police to interview six individuals who gave statements to a solicitor about the shooting. In 1981 police had deployed in Derry's Great James Street to stop rioters getting into a bakery yard. A lorry arrived and began unloading a delivery. There are conflicting accounts as to what happened next, but a number of youths were seen throwing stones. A security guard told police he believed the lorry was to be hijacked. Police came to the gate of the bakery and the inspector on duty ordered an officer to fire at Paul Whitters, who was in front of the other youths and was described by police officers as the "lead rioter". The officer fired, hitting Paul on the forehead. He died in hospital 10 days later of severe head injuries. An inquest was held into Paul's death but his family were not satisfied by its findings and turned to the Police Ombudsman, Nuala O'Loan. Her investigators traced the security guard and the lorry driver, but neither of them were able to add to the evidence they had already given years ago. One of the boys who had been in the area that day came forward and gave evidence. The investigators also traced and spoke to an independent scientist and weapons expert who had been hired by the family as part of their civil action. 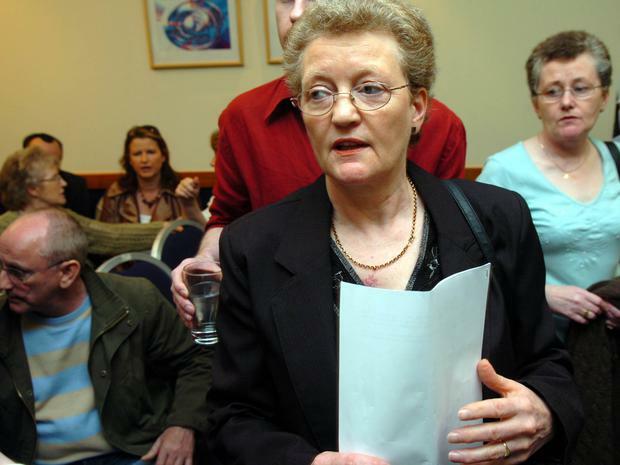 Mrs O'Loan described his evidence, which was not available to the DPP or Coroner, as "compelling". Although the Forensic Science Service of Northern Ireland examined the weapon at the time and found no fault with it, the independent scientist said that when he tested it four years later, the majority of the shots hit 20 inches high from targets he aimed at. Officers involved refused to talk to the Police Ombudsman. Mrs O'Loan said: "The scientist concluded that if the police officer aimed for Paul's head he would probably have missed. The fact that the baton round hit the head suggests the police officer probably aimed at the lower part of the body. This evidence, combined with evidence of eyewitnesses that Paul was stooping down and standing up again introduces reasonable doubt as to whether the police officer fired at his head." The senior officer who led the investigation into Paul Whitters' death took statements only from the police officers, the security guard, the lorry driver and one other person. Nuala O'Loan said: "He did not take statements from eyewitnesses. He did not think it necessary to make inquiries in the neighbouring houses nor give valid reasons why he did not do this. In the absence of a full account from this police officer, and based on the evidence from the files and the statements obtained as part of this investigation, I must conclude that the investigation was not done properly."